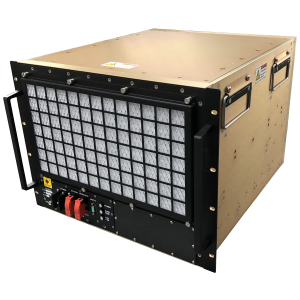 Annapolis was the first company to bring 40Gb and 100Gb bandwidth to OpenVPX with our line of rugged COTS backplanes, chassis and payload cards that are fully designed, qualified and tested for 40Gb and 100Gb bandwidths. The Wild40/100 EcoSystem™ for OpenVPX chassis includes both switched and mesh backplane architectures and is extensively deployed around the world. Every Wild40/100 EcoSystem chassis includes a Chassis Monitoring system for fan control and chassis health monitoring with front panel display as well as front panel power switch, Ethernet, VPX System reset button and VPX Maskable Reset button. These 6U OpenVPX Chassis and Backplanes include both switched and mesh backplane architectures. In a switched environment, Annapolis has the highest-performing OpenVPX 40/100GbE switch on the market. Chassis come standard with 4, 6, 12, or 16 slots. These 3U OpenVPX Chassis and Backplanes include both a mesh and daisy chained backplane architecture for direct board-to-board communication. For the control plane, an Ethernet switch is used to provide 1 or 10GbE to each payload slot.